Fits well Super cute Love it Looks exaclty like the pictures True to size. Not see through. Nice length for me even at 175cm. 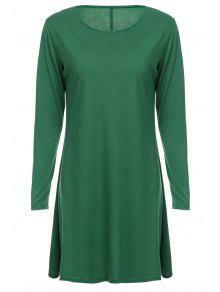 This is a very soft dress and is perfect in the fall. It can be dressed down for a casual day! Or dressed up if you want to go out. The fabric was nicer than expected! Very soft. Can't wait for summer to start cooking off so I can wear it.